For the second year in a row, Rowenta was the official provider of garment care for all of the fabulous clothes we saw during New York Fashion Week at the Bryant Park Tents. While we depend on the designers to bring amazing style to the runway, Rowenta helped them keep all of the garments looking crisp and clean. Rowenta was kind enough to invite me to attend the Ecco Domani Fashion Foundation Show, where seven up-and-coming designers displayed their collections in the tents, and although I was able to see that all of the clothes looked amazing and chic, I did not realize just how much Rowenta had played a part in this. I suppose I was just under the assumption that the garments went off to the dry cleaners before the show. As it turns out, Rowenta generously provided the designers with premium irons and steamers to get everything runway ready, and they even let me bring home the Ultra Steam to try out on my own garments. I should start by telling you that I just about never iron my clothes. I will sooner walk out of my apartment looking like a hot mess in a wrinkled blouse than rummage through my pantry to get out the ironing board, and wait for my clothing iron from college to heat up. I was pleasantly surprised when I tried out this product on my clothes, as it heated up within thirty seconds, and I didn’t even have to whip out that gigantic ironing board. I simply hung up my blouse on the door, steamed away, and got on with my day in under ten minutes. Unlike my iron, the Ultrasteam provided continuous steam without pumping or getting water drip stains on my blouse. I was also able to get out the wrinkles with the attachable fabric brush, and use the removable lint pad to remove my cat’s dander. My shirt transformed from a disheveled disaster to a blouse that looked like it was purchased just yesterday. The best part was the size of the steamer- it is so compact that I could take it anywhere, and it doesn’t take up space in my tiny New York City apartment. Needless to say, my old iron has been removed from the premises, and replaced by this compact and actually functional steamer. For someone so opposed to paying for dry cleaning or ironing their own clothes, I was genuinely impressed. Rowenta offers a full line of steamers and irons with an affordable price tag. The Rowenta Pro Master Iron is an up-to-date and affordable companion that actually switches off in 8 minutes if left vertical, and within 30 seconds if left horizontal or tipped over. This function is literally a life-saver as it prevents you from any unfortunate accidents within the home. For those of us on the go, the travel iron is compact and comes with a travel pouch that can safely hold a warm iron. Rowenta offers a variety of irons and steamers that are not only conveniently designed, but also come in great colors because they understand that we like our accessories to be just as fun as our clothes. 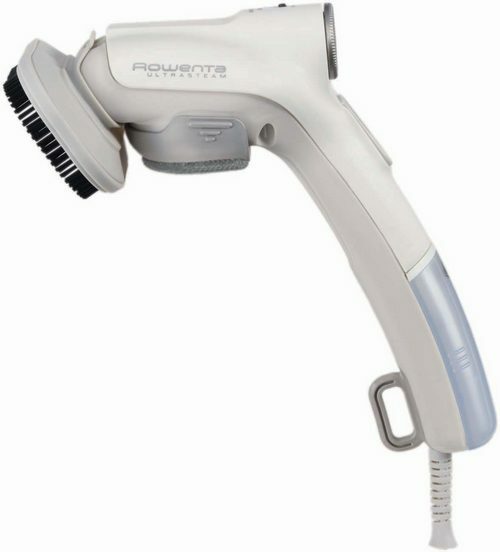 Rowenta products are available at www.rowentausa.com with prices as low as $49.99. Previous Post: « Eliminate Baby Hair Flyaways With Just For Me!